is the noise/avant legend from the former USSR. maybe someone heard the name Nick Soudnick? 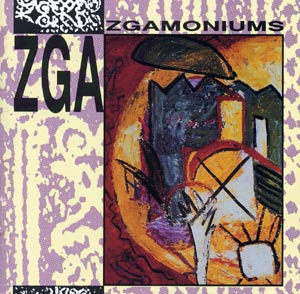 ZGA is the first collective ex-russian empire chosen by Chris Cutler of RECOMMENDED records to be released on cd. only that sounds loud enough. they are still alive though some purists say that it's not the original ZGA. anyway Nikolay Soudnick is great fellow and i hope he'll run the band quite good furthermore. the links are dead... can you re-up them? The links are still dead for "ZGA - Zgamoniums". I would really appreciate it if you could reupload this. I need it for a very important project that I'm working on. If you are able to re-up this, could you please leave a message for me on my blog @ http://digitalmeltd0wn.blogspot.com Thank you.